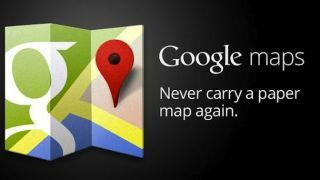 Google has said it will be "soon" removing the block on its Maps service for Windows Phone handsets using the Internet Explorer browser. Currently, anyone wishing to access the Google Maps mobile site through the built-in Microsoft browser is redirected to the Google.com homepage, allowing them to, at least, use Google's local services. The search giant had claimed that Google Maps was not as compatible with IE as it is with Chrome, the default Android browser, the Firefox mobile browser and, of course Apple's Safari browser. Now Google has made somewhat of a u-turn and said recent improvements in IE and in Google Maps mean a better experience can now be provided for Windows Phone users. In a statement issued to The Verge, Google explained: "We periodically test Google Maps compatibility with mobile browsers to make sure we deliver the best experience for those users. "In our last test, IE mobile still did not offer a good maps experience with no ability to pan or zoom and perform basic map functionality. As a result, we chose to continue to redirect IE mobile users to Google.com where they could at least make local searches. The Firefox mobile browser did offer a somewhat better user experience and that's why there is no redirect for those users. "Recent improvements to IE mobile and Google Maps now deliver a better experience and we are currently working to remove the redirect. We will continue to test Google Maps compatibility with other mobile browsers to ensure the best possible experience for users." The change of heart at Mountain View is, at least, a gesture that it isn't hell bent on playing hard ball with Windows Phone. The company has angered users and perhaps damaged the prosperity of operating system by removing ActiveSync support, making it harder for people who use its services like Google Calendar and Gmail to do so on Windows Phone.